Last week, there was a sale on Betty Crocker cake mix at my local Wal-Mart. Considering the fact that I’ve been seeing Cake Mix flavoured cookeis and bars ALL over the internet lately, I was very excited since now I could finally try these new and ‘supposedly’ easy recipes. I say supposedly because I didn’t think they’d taste as good as homemade. Surely they’d have a cake mix flavour, right?! Wrong! 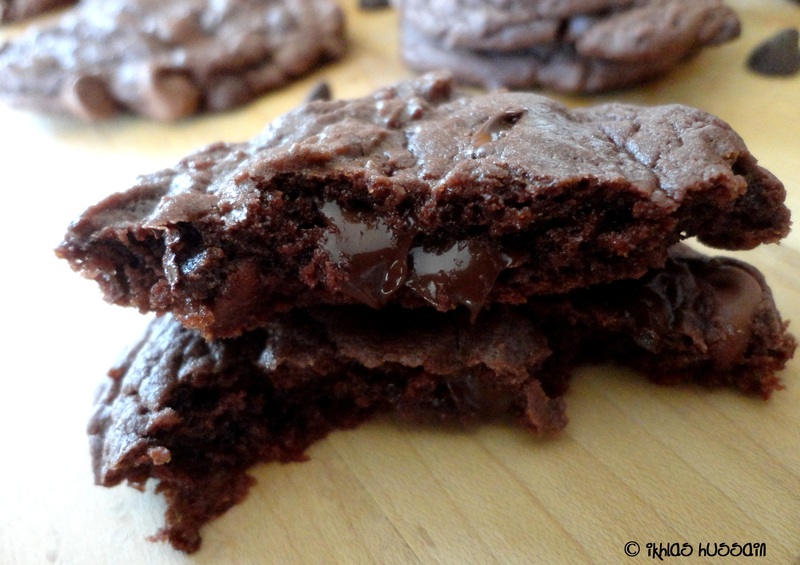 Not only are these the EASIEST cookies I’ve ever made, but they’re also probably the chewiest and fudgiest! They took me less than half the time as my homemade chocolate cookies, but tasted and looked homemade, which makes them a winner in my book. And while I love my cookies thick and puffy, I also appreciate the slightly flatter look of bakery cookies. My homemade cookies often come out so thick that they end up looking like a mix between cookies and mini muffins, so I appreciated the bakery look on these guys. In a large bowl, combine cake mix, eggs, and oil by hand. Add the chocolate chips in last and mix well. Refrigerate dough for at least an hour. Preheat oven 350 degrees F, and then scoop out dough onto a parchment sheet-lined baking sheet, at least 2 inches apart. Bake for 4 minutes, then turn the baking sheets, and then bake again for another 4 minutes. Let cool completely before removing cookies and enjoying. Store in an airtight container. Recipe inspired by Hayley at The Domestic Rebel. NOTE: Hayley's recipe recommends BETTY CROCKER brand of Devil's Chocolate Food Cake, so I'd recommend the same. Like I said before, these are SO easy it’s ridiculous! They only have 4 ingredients, and come out of the oven all warm and ooey-gooey. When I first took a bite of one of them, hot out of the oven, I was in chocolate heaven! They were so soft and chewy, and the combination of both the semi-sweet and milk chocolate chips provided a great depth of chocolate flavour. Also, when I make these, I didn’t refrigerate the dough (because I was running low on time), but that’s a step I’ve incorporated into the recipe, since I think it’ll help the cookies from spreading too much. Unless you want flatter cookies, then you can skip the refrigerating. 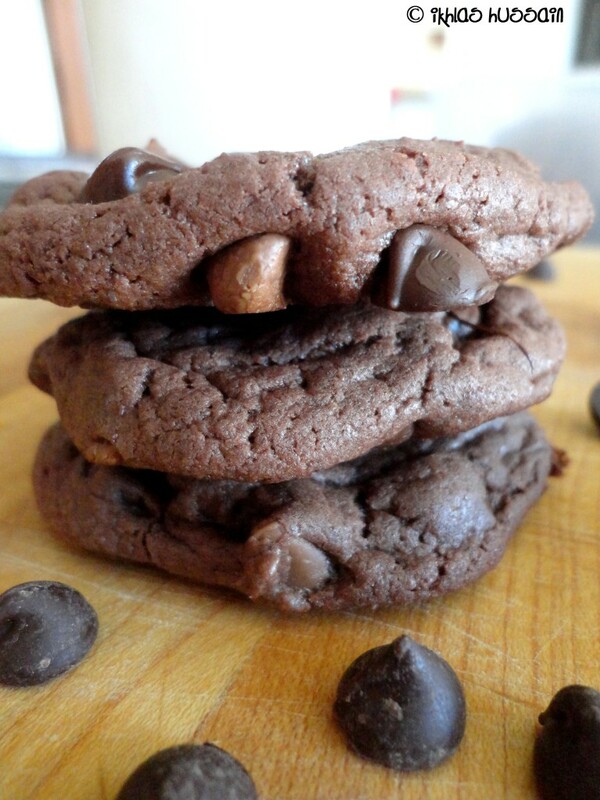 Chocolatey, chewy, and studded with lots of chocolate chips, these Fudgy Cake Mix Cookies only take 5 minutes to prepare and 8 minutes to bake. 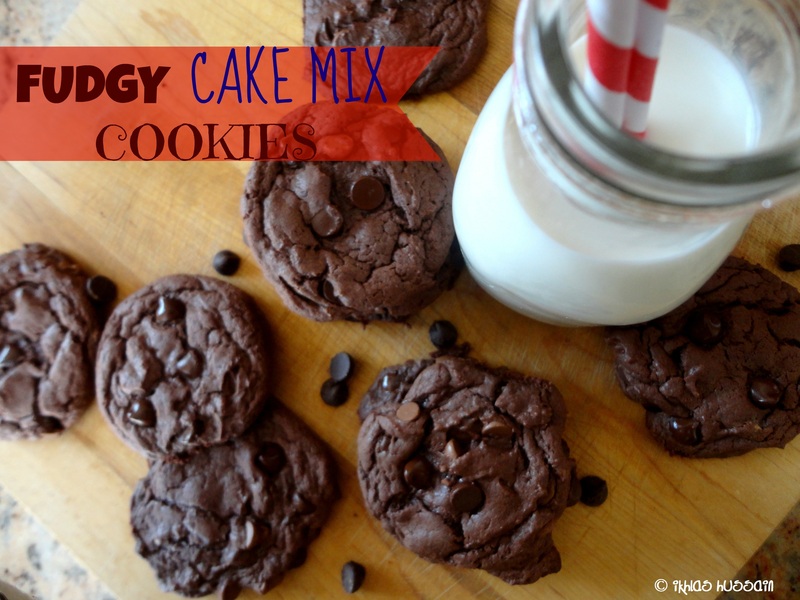 You might want to stock up on some cake mix for those intense chocolate cookie cravings…I know I will! Remember when I said I was going to gain kilo after kilo of all your recipes? Let’s say I might be glad to know e don’t have this particular brand here, haha. But they do look really good, mouthwatering even. Thanks for visiting, Olena! And yeah, cake mix cookies are really popular now…not only are they easy but they taste good too! I LOVE these! Look how fudgy, soft, and thick they are. 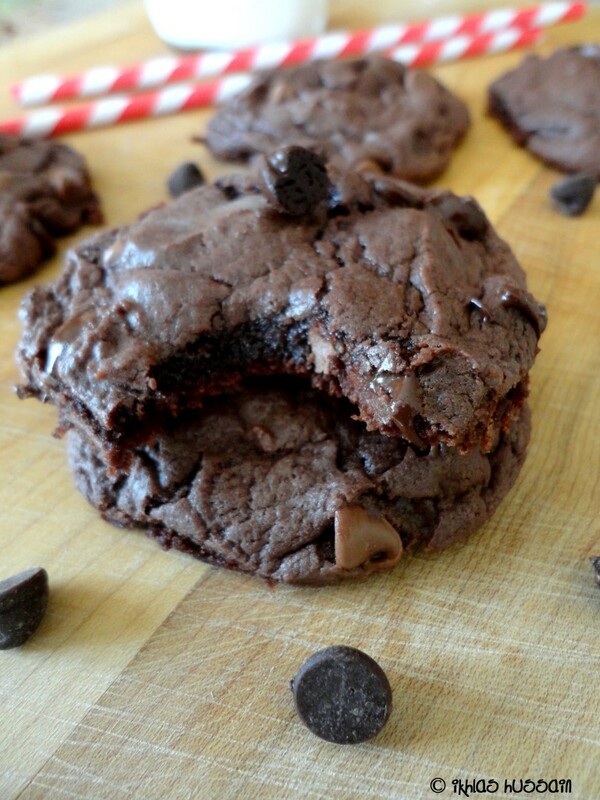 Double chocolate – that is always a good thing! and only 4 ingredients, you can’t beat it.